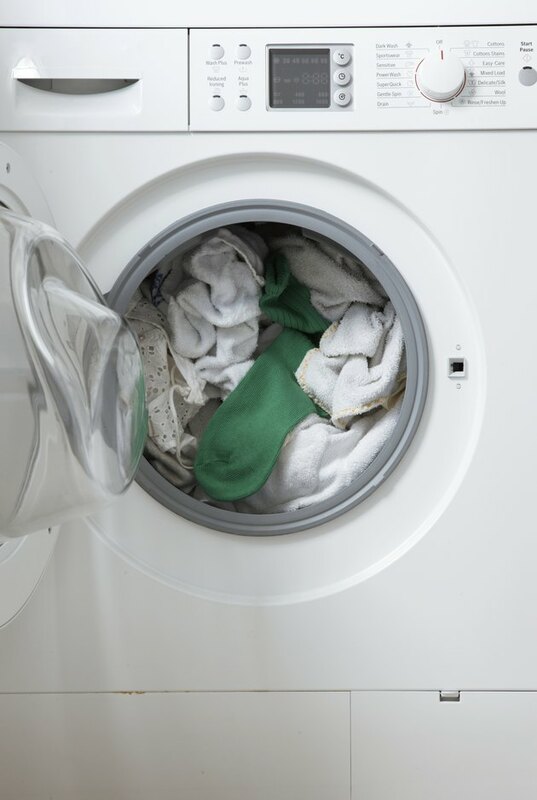 Some problems with a washing machine can be resolved through some good old fashioned troubleshooting, such as using too much or the wrong kind of detergent, cleaning the lint screen, reducing the amount of items in the tub, and using the correct cycle temperature and time for the type of fabric or item to be cleaned. However, sometimes the issue is more serious, such as problems with the washing machine belt. Several symptoms may indicate that a belt must be replaced. If the washing machine does not agitate or spin, a belt may need to be replaced. Close the washing machine lid and start a normal cycle. See if the washing machine agitates after water has entered the tub. If the washer does not agitate, the belt may be defective or malfunctioning. It also is possible that the transmission drive or motor is broken and cannot turn the drive belt, which means that the pulley will have to be replaced. See if the washer agitates but does not pump out the water. If this occurs, the pump belt may be worn or broken. Determine if the washer pumps water out after the wash cycle but does not spin, which indicates that at least one belt may be broken. Most washers have one or two belts. If the spin speed is too slow or items are very wet at the end of the cycle, the belt may be worn out or may have slipped.